On a ride back from an afternoon swim, my 7-year old son wondered out loud how he could have more money. I don’t remember what triggered that thought, but he was determined to come up with a plan. He immediately thought of selling his old toys, Thomas the Train in particular. I don’t buy my children a lot of toys, so he really has not much to sell. Whatever toys he has and has outgrown are probably either all worn out, or not worth much to anyone anymore. Then, I asked him to think of what he is good at that is of value to other people. I had to tell him that we can’t put up his advertisement, but he can have his sister as his first client. After a couple of hours of biking on one summer afternoon, he finally has a happy and satisfied customer. I don’t know exactly what he did, but he is taking credit for teaching his shobe (little sister) to ride a bike. It was a quick lesson, I think, because his 5-year old sister was just physically and emotionally ready. My son is claiming his $10. I think it is money well spent. 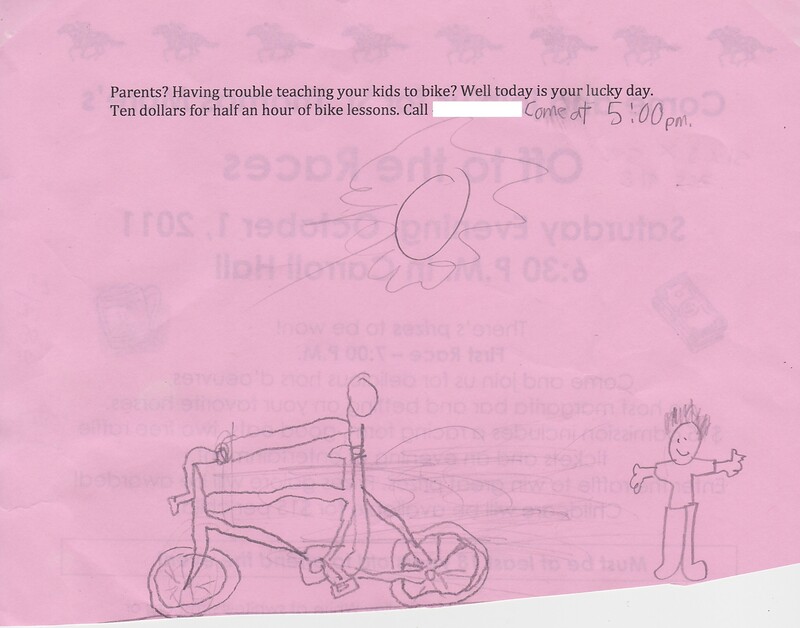 This project taught him to plan and follow through– he recognized a skill that he could profit from, made a flyer to promote it (was not shy to tell his friends and neighbors that he can teach them to ride), and worked hard (biked beside his sister and cheered her on) for it. Like a good teacher, he even discussed with me what my daughter needed to do to be a confident biker, and what he can do to help her improve. I didn’t even ask for a parent-teacher conference, he did it on his own! As I write this, both of them are going around the neighborhood enjoying the fruits of their hard work. Posted in A Mother's Narrative, Filipino Parenting and tagged Bike, business plan, earn money, family, teaching how to ride a bike. Bookmark the permalink. 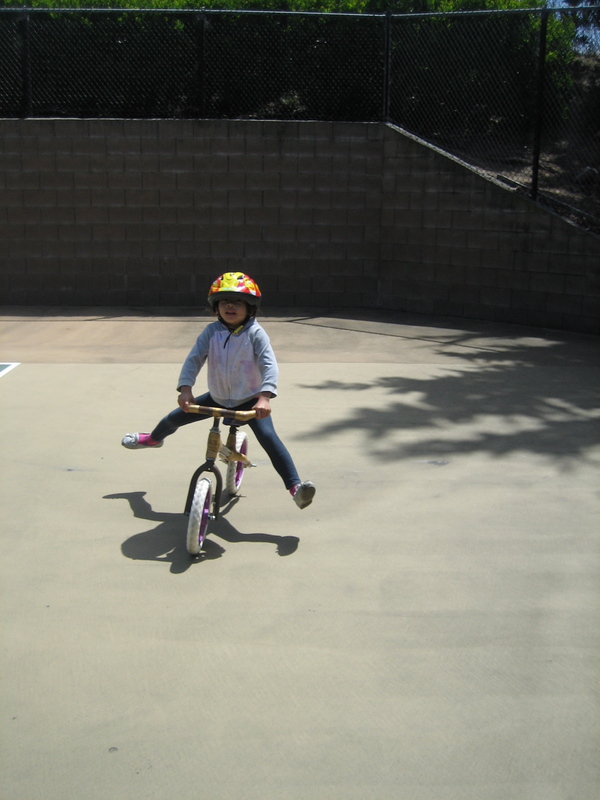 I watched my daughter ride her pushbike today. 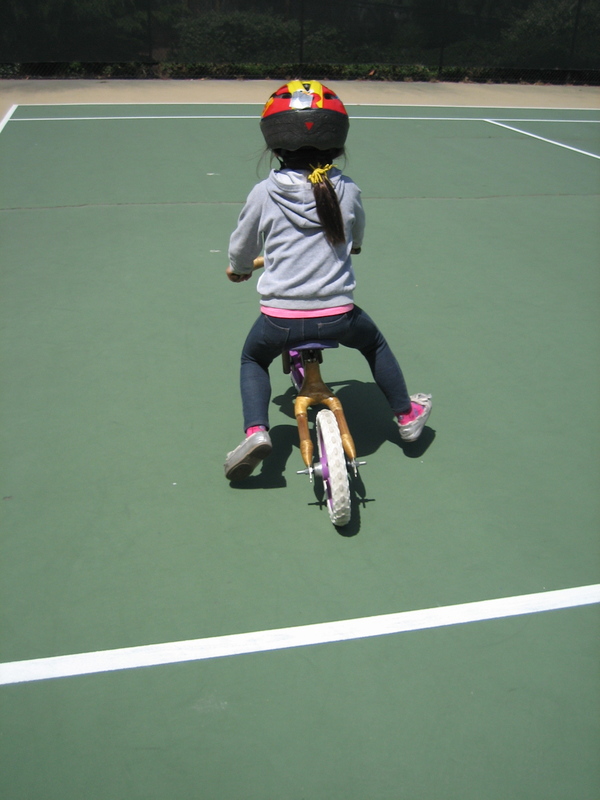 For those who are not familiar with a pushbike, it is a bike without crank and pedals; you push along with your feet. She has gone around the block in her bamboo pushbike many times before, but this is the first time that she has done it, and actually gotten far. She sat on the seat, and then partly walked-partly ran (picture how the Flintstones did it with their car); and when she had her momentum, she extended her legs to maintain her balance. 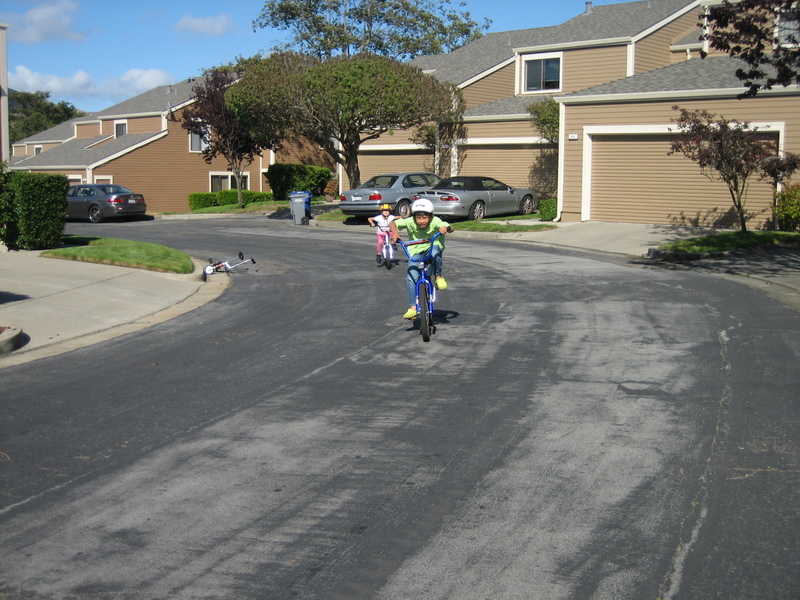 After a few runs, she rushed back to the house with her brother in tow, demanding that the training wheels of the bigger bike hanging in the garage be taken out. Ninong (godfather) Eric especially made her bamboo pushbike when we were in Manila. 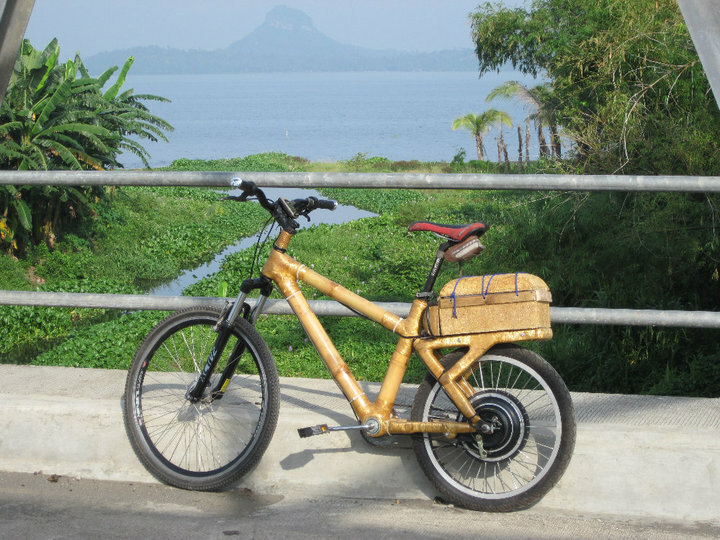 My brother, Eric, makes bamboo bike frames and has a workshop in Lipa, Batangas. 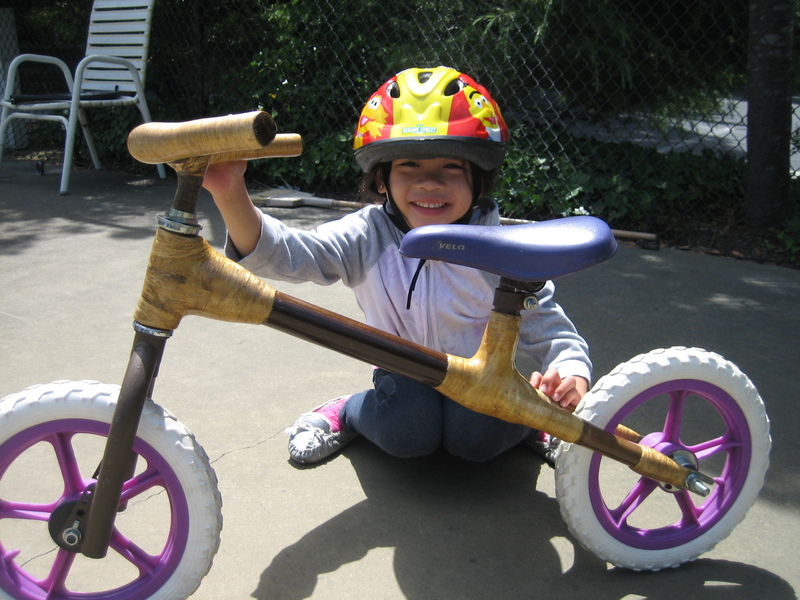 As a Christmas present to his inaanak (godchild), he made my daughter her very own bamboo bike with pretty purple wheels. Bringing it back to the US was a cinch: once the handlebar was removed from the frame, the whole bike fit perfectly in a large suitcase. A simple wrench was the only tool used. When I complained about gas prices reaching $4.45 not so long ago, my brother offered to make me an electric bamboo bike. Electric Eric 350 watt. First Electric Bike in the Philippines. Not shabby, I thought…if only I knew how to ride a bike. Posted in A Mother's Narrative and tagged bamboo, bamboo bike, Bike, electric bike, electric eric, family, Filipino, Lipa, push bike, teaching how to ride a bike, training wheels. Bookmark the permalink.